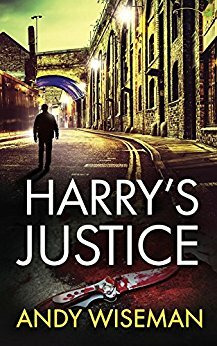 The opening chapter of Harry’s Justice set the book up nicely as it gives us a brief look at Harry Windsor’s character, and what he will and won’t tolerate. It also shows us just how ‘hands on’ Harry can be. We then jump straight into the story, which I loved. Harry is trying to stay on the straight and narrow but finds it hard when he needs to seek justice. Izzy, a news reporter. is trying to locate Harry after reports of a fight in a local pub. The two come unexpectedly together, and Izzy unexpectedly becomes his, sort of, side kick. The story was exceptionally interesting and well written. The author has used good descriptive vocabulary, and has created this easy to understand and visualise plot. The brutality in the storyline is feasible and very real. It is within keeping with the plot and definetly expected in a thriller. Andy Wiseman enthralled me with the devious crimes and deeds he has written. Throughout the book there are also some very dark characters, which came across very real, maybe a little too real!! Harry’s Justice is a fast paced action book. The story unfolds nicely and the outcome is a complete surprise. I also loved the odd dashes of humour too. This is a brilliant debut for Andy Wiseman, I was definitely hooked right from the start, to the finish, and would love to read more of his work. 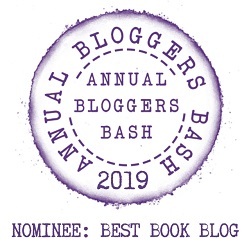 Andy Wiseman is a fifty-something year old who, since a boy, has harboured a desire to be a writer, occasionally dabbling with some success, yet never committing to it – maybe due to lack of confidence and/or where he was brought up, because back then it wasn’t considered “a proper job”. Now, finally, to use one of his father’s favourite phrases, he’s “pulled his finger out” and produced Harry’s Justice; and to critical acclaim from those who have so far read it. Andy says the one big advantage of starting late is that he has plenty of life experiences to write about. Andy lives in the UK, Lincolnshire, with his partner Sue and their three neurotic rescue cats. He is currently working on his next Harry Windsor novel.